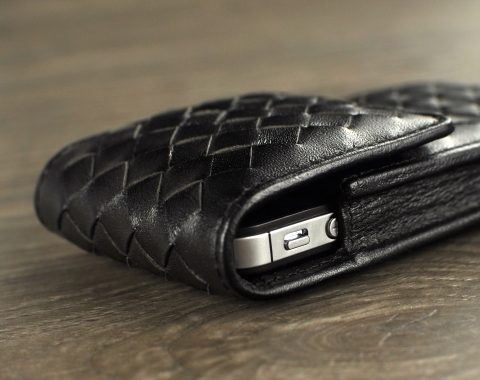 Genuine leather handcrafted woven leather case customizable for all smartphone devices. 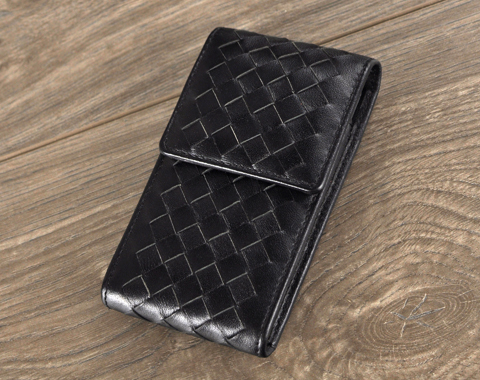 Interlocking leather pattern makes this case a perfect complement for your smartphone. 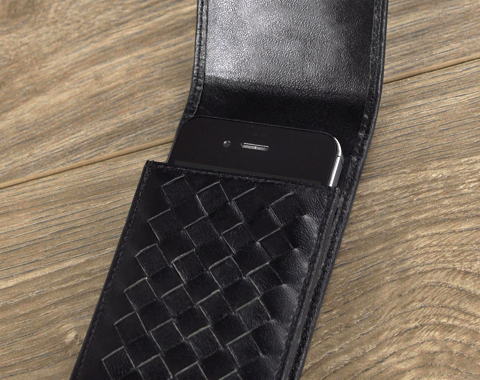 Using the finest workmanship, our team of leather artisans beautifully weave the leather pattern with your choice of genuine leather or lambskin color and texture to give you a truly unique one of a kind leather holster case. I could not be happier. Fantastic quality. This will only be my first order of many to come with Story Leather. Workmanship was excellent . The Case fit my phone perfectly. Holding the case and seeing it in person you know that this is a quality product. 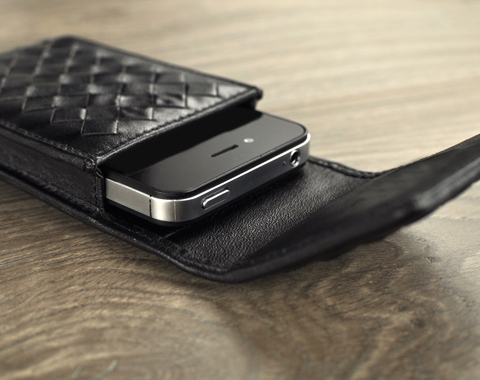 Would not hesitate to recommend to someone for a case that will last a lot longer than the phone. This is a perfect phone holder. Very unique because of the all the individual options. I keep coming back to Story Leather because they never disappoint. The attention to detail and workmanship of their products is truly unsurpassed. I love the fact that they can customize your case to fit your specific needs and requirements. As a result, I will certainly continue using them without question.